Using detergent to power a boat is a fun science experiment. You will learn to make a boat that runs only on detergent. Find out! How surface tension of water is affected to power your boat. 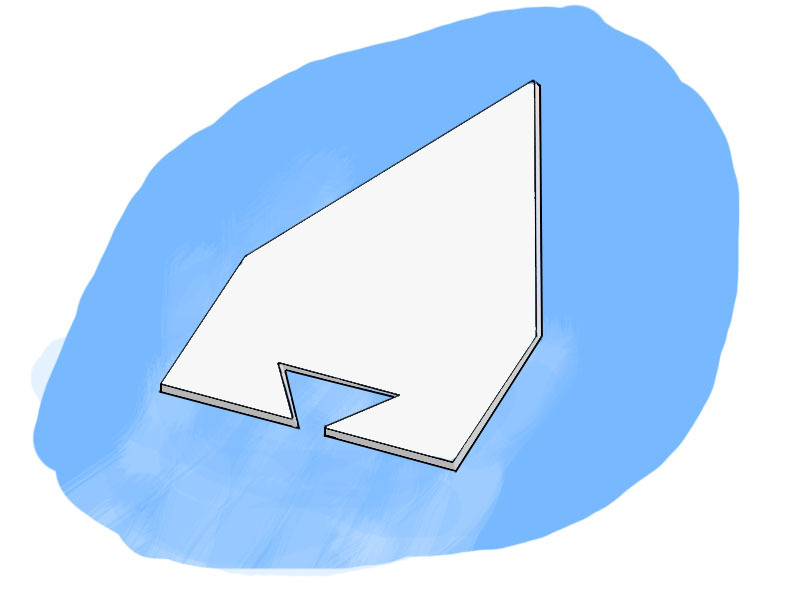 Cut a sheet of cardboard into the shape of a boat; it should be 2 inches long and 1.5 inches. 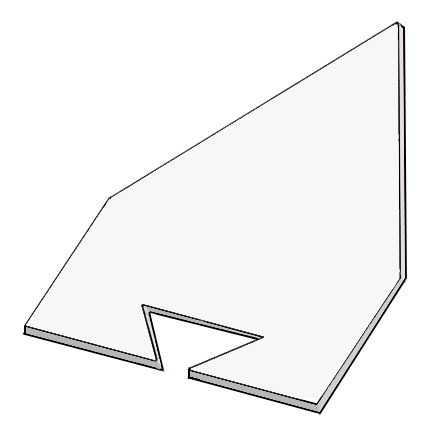 Make a triangular shaped notch in its back (as shown in the figure). Place your boat in a water tub, so that your boat has enough space to move. Place a drop of liquid dishwashing soap in the notch of your boat with dropper or pencil. Now, watch your boat going around the tub! It will move forward. Water molecules are attracted to each other, which creates surface tension in the water. Liquid dishwashing soap is a surfactant; it breaks down the surface tension of water. When you add liquid dishwashing soap in the notch, it breaks the surface tension of water inside the notch. As a result, it creates enough force to push the boat forward. We have used light material (e.g. Styrofoam or cardboard) to build the boat. Because, light materials can be easily pushed when surface tension breaks. Use different materials to build your boat and find out! Which material provides more speed? Can you rotate your boat without moving it forward or backward? Think about it. Abdul Wahab, "How to Make Boat Powered by Soap," in Science4Fun, April 13, 2019, http://science4fun.info/how-to-make-boat-powered-by-soap/.